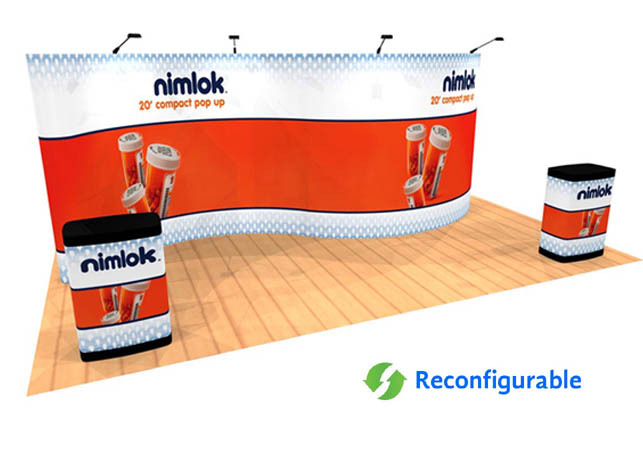 10′ x 20′ displays allow you to maximize your brand exposure. 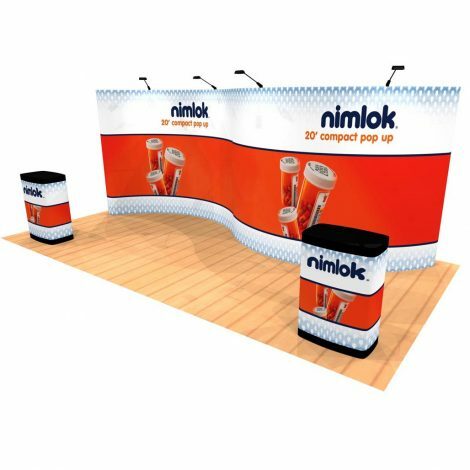 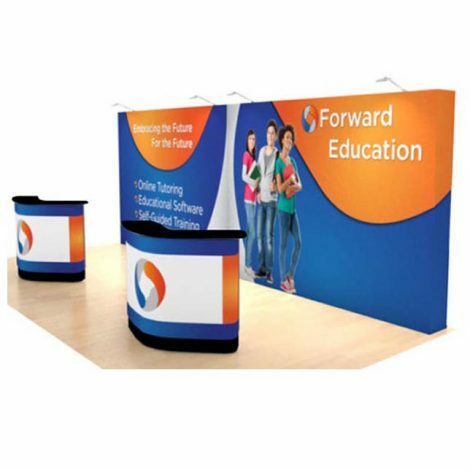 Traditional pop up displays use curved frames side by side that also break down into smaller displays. 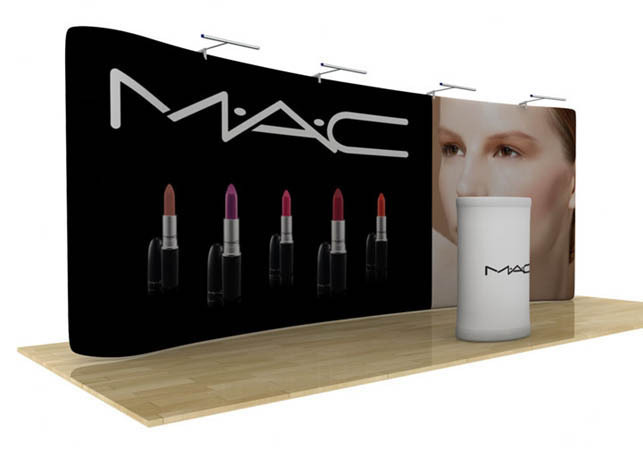 Tension fabric displays provide modern design elements and features. 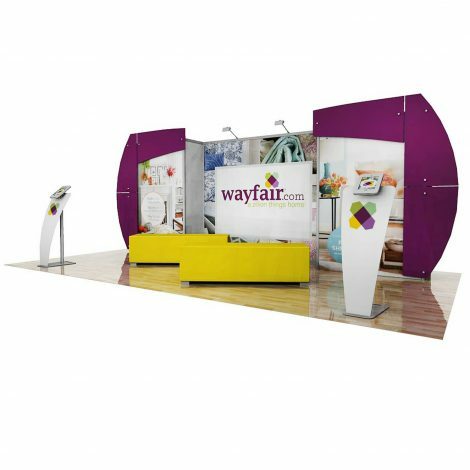 These 10′ x 20′ displays include lightweight tubular frames and our Modulate designs use multiple frames than can be reconfigured. 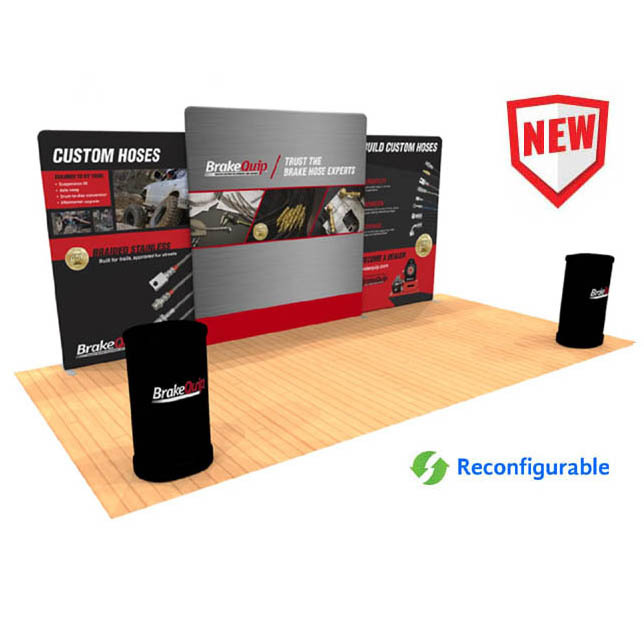 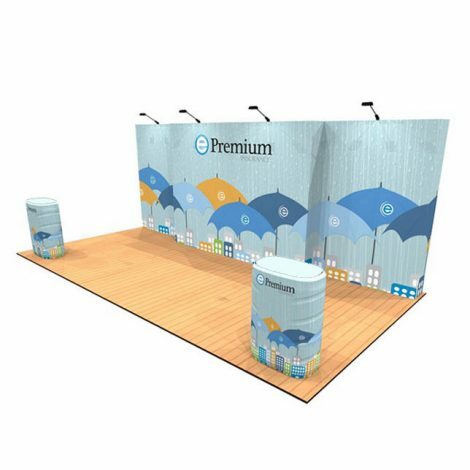 In addition, some 10′ x 20′ displays offer design elements often seen on custom trade show displays. 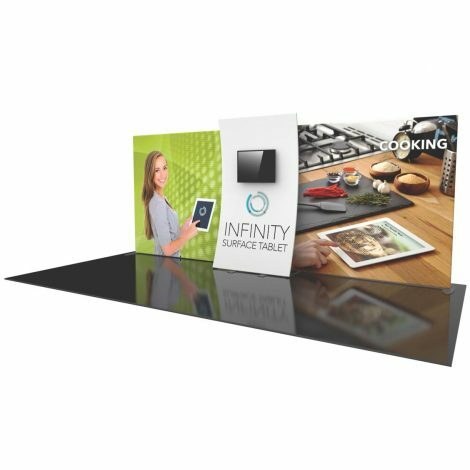 The Formulate designs have large monitor mounts and are still portable and can be assembled by 1 or 2 people. 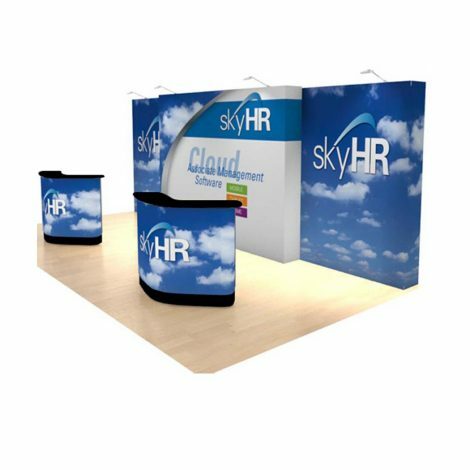 All of our 10′ x 20′ displays include graphics and portable ship cases with wheels.